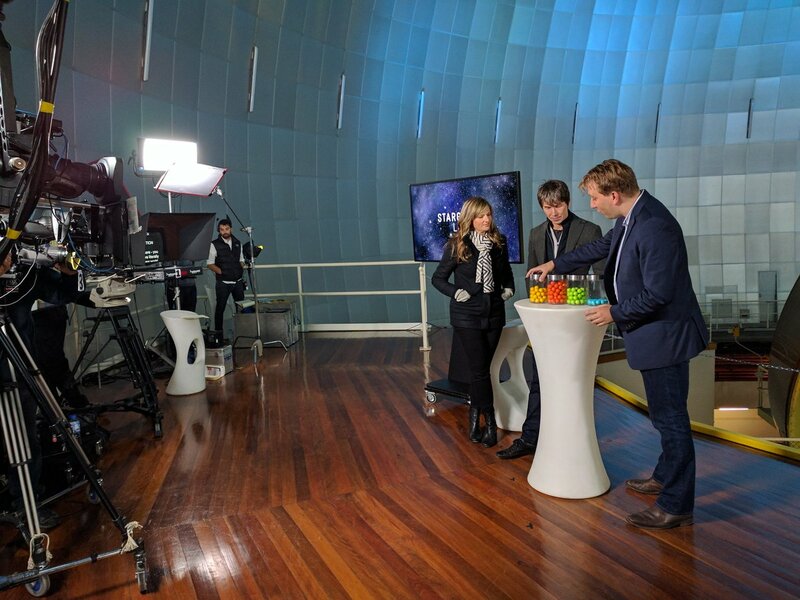 We’ve just been on the second episode of ABC’s Stargazing Live giving an update on the Exoplanet Explorers, and it’s pretty exciting. Thanks to the efforts of all of you in the twenty-four hours or so since the project launched, we’ve now had more than a million classifications. Amongst them are some very promising possible planets. These aren’t discoveries – lots of these may turn out not to be real, and we’re currently doing everything we can to check them out. However, notice how few Earth-sized candidates there are. This may not be real, as we expect if anything more small than large planets. What’s happening is that these are harder to find, and so it would be great if everyone could go back to the site and redouble their efforts to find these most elusive worlds at www.exoplanetexplorers.org. We’ll have a new update tomorrow. Next Next post: WE GOT ONE!! !